With the plethora of fitness apps available today, it seems people seem to have gone a bit over the top in creating apps that collect data and “analyse” how you run, cycle, jog, train, eat and sleep. Considering the amount of information that is being collected, not many apps actually manage to give you the data you really need in a concise, useful way. This is where the Strava running and cycling activity tracker shines. It has managed to simplify and expand the same genre to become more versatile. Strava has a clear interface, offering help from the word go. Sign in to the app with the usual data, and you are lead into a main menu that has a minimalist approach to the amount of information that is thrown at you. The “Record” section registers your data, from the run times, to the track/path that you’ve followed. The app lets you sign in from a web interface to update information on your gear, and also to set up custom routes. The app follows the minimalist theme throughout the entire interface. You get to view all the standard data – time spent, distance covered, calories burnt, route taken, as small pointers on the screen; with the map covering most of the screen. Once you’re done with the run, you can compare yourself to other users who have taken this route. You also get to compare and challenge friends in similar activities, set weekly goals and trends (premium users only). The main feature that I have loved about this app is that you can set challenges to complete, against global users. Each challenge has different criteria and helps keep the game interesting. I have found that the more I spend exercising, the more I prefer to use this app. Another handy feature is the Gear section that lets you review, purchase and keep track of Cycling/Running gear. 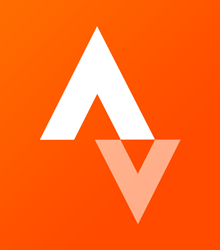 Strava also offers a 90 day money back guarantee on its products. This is something that other apps do not offer, and is quite handy. The app is free to download, but offers in-app purchases for premium features such as goals and challenge settings. 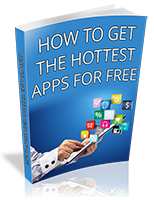 Available on both Appstores, the app works on devices running iOS 7 and up, and Android 2.3 and up.